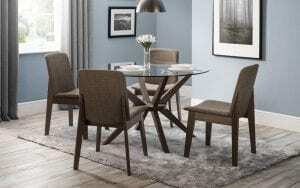 Let Us Furnish has a large range of high-quality dining sets that are built to last. In finishes and designs to complement every décor, you can choose from chrome and glass, pine, oak, lacquered wood and more! With 19 different packages of tables and chairs in our chrome and glass range, starting at under £200, there’s a design to suit every taste, at prices that won’t break the bank. In wood and chrome, the Dove Honeymoon set includes two chairs and a table. 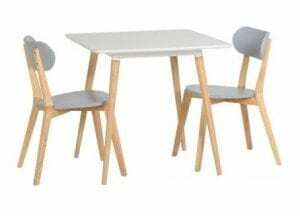 The Walnut Rectangle set is supplied with four chairs but there is space for an extra two chairs. 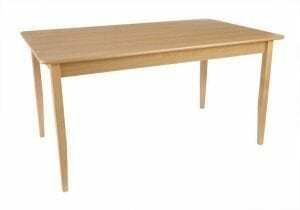 If you’re looking for a stand-alone dining table without the chairs, we have square, rectangular or circular options. Chairs are available in traditional wooden designs, with plain or padded seats. 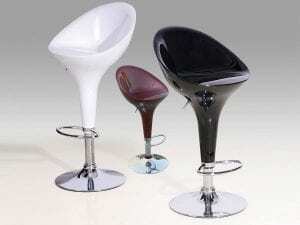 Ideal for breakfast bars, our chrome bar stools would fit beautifully into a contemporary space. Alternatively, our fully padded PU chairs are available in a selection of colours and are both functional and comfortable. 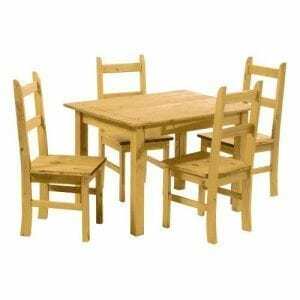 The Mexican Pine dining set, Rio, features two chairs and a table – the large Mexican Pine dining set includes a 6ft table and six chairs. Every piece of furniture is beautifully crafted, to help create the perfect living environment.